Jim Kachidurian has been named Executive Vice President – Business Development Reporting to Howard Shiebler, President of Crossroads. "In this new position Jim will be responsible for new vendor and direct sales, as well as value added partnerships" said Shiebler. "As our customer’s needs continue to evolve, Crossroads is driving innovation and ease of business to support fleets and owner operators. We have a long history of partnering with both national and regional transportation providers to help navigate equipment finance structures, technology improvements and regulatory requirements. 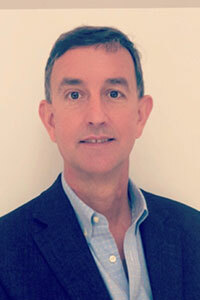 We look forward to Jim’s contribution to growth and focus on the customer experience". Kachidurian added, "I am fortunate to be joining this experienced team of industry professionals and I look forward to supporting the team in providing continued service differentiation and technology enabled solutions to the Crossroads customer base"
Prior to this, Kachidurian was Chief Commercial Officer for SeaCube, a global marine equipment leasing company. Before that he was SVP of Sales and Marketing at Stoughton Trailers. He has held senior positions at Donlen, a Hertz company focused on technology and fleet management. He also spent 13 years at GE as a senior executive in a variety of commercial roles, such as, SVP of Corporate Lending, Global Business Segment Leader, and VP of Global Remarketing. Jim has a B. S. from the University of Colorado School of Business and significant executive training from GE’s Crotonville, Stanford University and the Wharton School of Business.